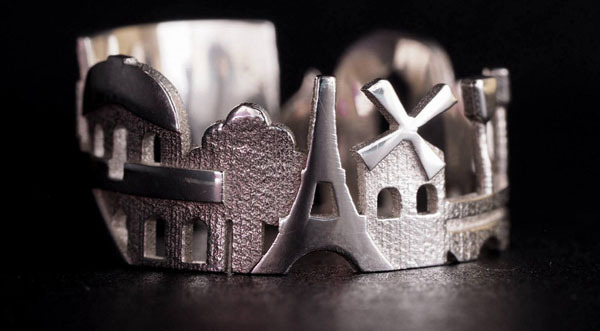 Famous Cities Skyline Rings | OhGizmo! 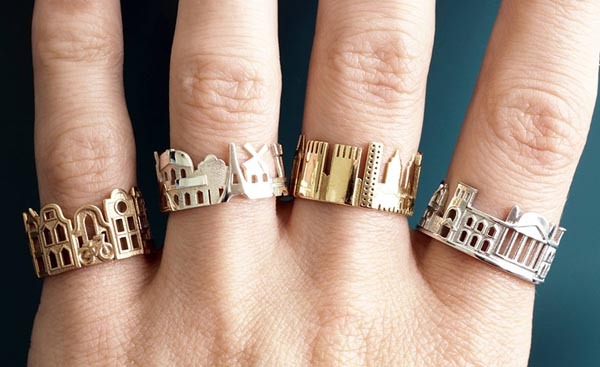 The rings start out at $69 for the Bronze and Brass versions, but sadly many of these cheaper ones seem to be sold out. If you’ve got $1,359 burning a hole in your pocket, the Platinum versions are still generally available.